As with many top sporting events, the Cricket World Cup is an opportunity for top brands to fight their way to key exposure. With over 1 billion viewers, it is no wonder that the Cricket World Cup is a top target for advertisers, brands and media groups. If you are wondering whether 1 billion viewers is a lot relative to other sporting events, remember that the Super Bowl typically has around 115 million viewers. A recent article in the Australian reminded us that this phenomenon is not as new as we would think. In fact, back in 1996, Marqusee commented on what he described as the “subsuming of individuals into corporate identities”. Marxist comments aside, 10 years later, corporations are still fighting to align themselves with the world’s top cricket players. Who is winning the battle of the sponsorship this year? Well Nike wins the battle of the brands in every domain when it comes to sports. Back in 2005 they chose to sponsor the Indian team exclusively. 10 years later, they have stuck to their guns and the iconic Nike swoosh continues to be exposed proudly on their kit. As Forbes put it, even though India may not be the favourite this year, they are still a brilliant choice because “no nation is more cricket-crazy than India, making the team a veritable goldmine of exposure for any associated brand”. This goes to show that the battle of the brands is not solely based on the sporting abilities of the team; other factors come into play such as the popularity of the sports in that country. In other news, Adidas snapped up England and South Africa, whilst favourite, Australia, was nabbed by Asics. Beyond sponsorship, although brands have been capitalizing on cricket since the 90’s, what Marqusee did not foresee is the dominance of digital media. Indeed, this year, Facebook has added a specific ad-targeting option so that advertisers can pay to reach an audience of world cup cricket fans. This allows brands to tailor their messages to more precisely than ever before. The Twitter hash tag CWC15 also allows advertising to regroup conversations happening globally in order to better understand what cricket fans want. Despite the rise of social media however, TV advertising continues to be a very important player. 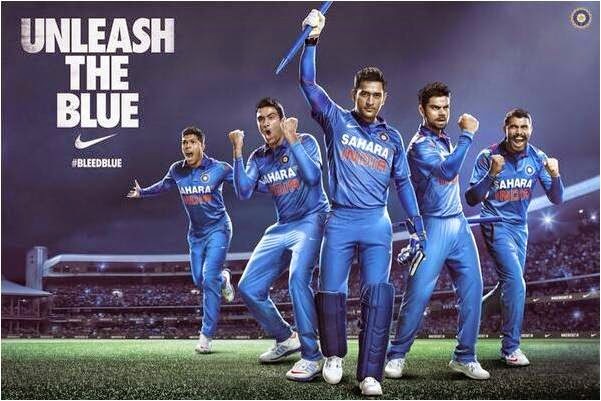 An Indian tech publication valued the advertising slots during matches at around RS1200 to RS 1500 crore. They have predicted that these prices will rise even further for the semi-final and final. This definitely goes to show that these are precious slot on Indian TV and brands are willing to pay millions of rupees to captivate the large audience watching. Yet, another dimension of battle of the brands is the fight between TV channels to cover the event or gain exclusivity over a specific match. There was a lot of coverage around the UK struggle between BT Sport and Sky Sports over the rights for the ICC’s major tournaments. In the end, Sky Sports came out victor. For the exorbitant price of approx $2.5 billion they were able to secure the rights to 18 major ICC events between 2015 and 2023 (including the 2016 Cricket World Cup). This goes to show that big TV outlets are projecting themselves years in advance when it comes to budgeting for cricket coverage. This type of deal truly proves the prestige and weight of the cricketing industry on a global level. Lastly, it is no surprise that the Cricket World cup provides a very important commercial platform for betting websites or any associated betting advice forums. At this time of the year, top betting brands like William Hill, Ladbrokes and Betfair are all competing to provide their members with the very best odds, deals and options. Whilst bets on the outcome of each match are offered all year around, large tournaments give more scope to niche wagers. For instance, bets can be placed on the best bowlers or batters, the worst teams or the best team within each group. All in all, the Cricket World Cup 2015 provides a period of tremendous opportunity for sports brands, social media platforms, TV outlets and betting brands alike.